Best Waibando - "Just a simple lump of clay." ►Lover of Monsterboys & Monstergirls ►Adores chickens. Please help me level up these... Things?? By PokéRadar - 3 Hours and 29 Minutes ago. Congratulations! A shiny Furfrou hatched out of one of your eggs (Chain #132)! By PokéRadar - 51 Seconds ago. Congratulations! A shiny Furfrou hatched out of one of your eggs (Chain #79)! By PokéRadar - 15 Minutes and 40 Seconds ago. Congratulations! A shiny Furfrou hatched out of one of your eggs (Chain #71)! Your coin looks much larger than the all others! -sneezes- -accidently makes a new character- Why does this keep happening?! Congratulations! A shiny Furfrou hatched out of one of your eggs (Chain #51)! By PokeRadar - 56 Seconds ago. Your PokéRadar recorded the 40th Furfrou in a row! You now reached the maximum chance of finding a shiny. Good luck! I gave up egg hunting but given how I just found my last one, I feel like I couldn’t scroll far enough on my PC- only my mobile. Weird! Also hit me up if you need regular, non-shiny Furfrous for your Dex, I have plenty! Hunt begins Just waiting on those Furfrou eggs! After 100 Koffings hatch I’ll be going through a few Furfrous again while I gem hoard. By PokéRadar - 1 Hour and 58 Minutes ago. Congratulations! A shiny Koffing hatched out of one of your eggs (Chain #52)! By PokéRadar - 1 Hour and 24 Minutes ago. Congratulations! A shiny Koffing hatched out of one of your eggs (Chain #43)! By PokéRadar - 6 Minutes and 14 Seconds ago. Congratulations! A shiny Rowlet hatched out of one of your eggs (Chain #72)! 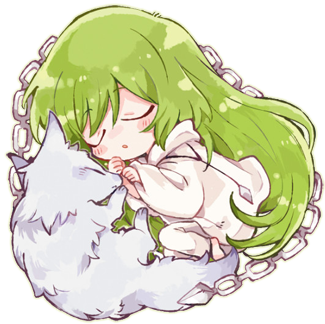 Enkidu is currently hunting Furfrou.